The origins of Irish dance is rumored to go back to the Druids. Additionally, over time the migration of people influenced the early dance traditions. For example, when the Celts arrived from Europe, they brought their own folk dances with them. Also, the invading Normans brought their culture when they settled in Ireland. In addition, the court of Queen Elizabeth influenced Irish culture during the English invasions of the sixteenth century. Consequently, a diverse culture of music and dance evolved in Ireland with many variations in different regions of the country. Irish cultural traditions were preserved in rural communities in spite of English repression. Moreover, Irish culture was passed down through an oral tradition by the prior generations. 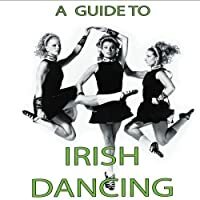 Irish dancing correlated with traditional Irish music with instruments like the bodhrán, fiddle, guitar, whistle and flute. Dancing has always been and is still an important part of Irish culture. Invasions in the sixteenth century brought a variety of these dances to the court of the Queen. Consequently, these dances became more intricate over time. Eventually, this led to the need of the services of a dancing master. The dancing masters appeared in the mid-nineteenth century. Generally, these were well-dressed men wearing bright colors. Also, their outfit includes a tall white hat, long tailed coat with white knee breeches and white stockings. Additionally, they wore turn pumps and carried a silver tipped cane with a silk tassel. They taught jigs and reels but also deportment to children. Sometimes, they also taught waltzes and quadrilles to wealthier families. There were several levels of these dancing masters. For instance, the top level was well dressed, carried a cane and were welcome in the finest homes. Secondly, a less well dressed master taught dance to the peasants. Finally, the Jig Actor only taught the basic steps. Dancing masters survived until the early 20th century. They were eventually replaced by the popularity of dance schools. There are two catergories of traditional dances in Ireland: social (figure dance) or performance dance. The social dances vary in each region of Ireland. Furthermore, the social dances include country set dancing and céilí dancing. French quadrilles and other continental dance genres influenced the Irish set dances (figure dances). Generally, four couples comprise a set. Additionally, the type of music included reels, jigs and hornpipes. The céilí dances may vary from two to over a dozen dancers or any number of couples. In addition, some set dances use a caller to call out patterns. The céilí’s use a square, circle or line formation. Generally, the word céilí, when used as a noun, refers to an Irish social gathering with music and dance. The origins of step dancing for performance are unknown. Estimates suggest there are six thousand step dance tunes. Irish step dancing evolved from old style step dance used for competitions and performances. Step dance characteristics include an upright posture, arms flat to ones side, accurate, precise steps, and effortless appearance. The earliest Irish dancers may have danced bare foot. However, today Irish dancers wear a hard shoe or soft shoe. The hard shoe is similar to tap shoes. 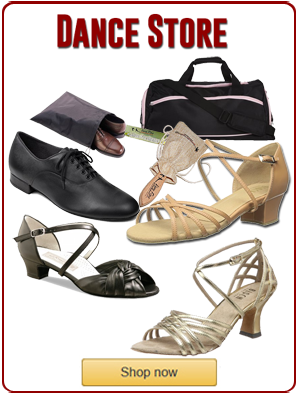 Hard shoes are used to dance the hornpipe, treble jig, treble reel and traditional sets. In the 20th century, Irish dancers adopted the soft shoe. The soft shoe is a black lace up shoe. It is used for dancing a reel, slip jig, light jig, single jig, and hop jig. 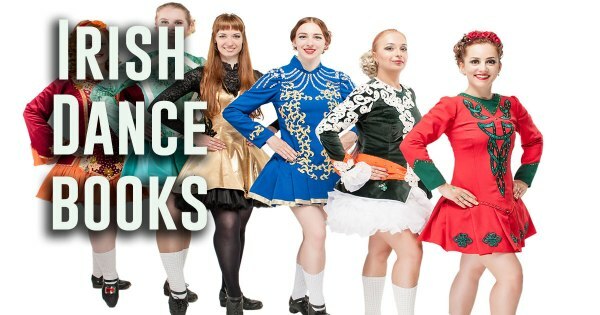 Originally, the Irish dance costume consisted of dressing up in one’s Sunday best. However, men have worn the kilt as far back as the 15th century. Also, the soft shoe known as the Broga Uirleathair was common on the Aran Islands. Over time, costumes became more elaborate. Since about the 1970’s, they included regional embroidery, crystals and wigs. Additionally, the designers copied the beautiful designs of the Book of Kells, sometimes called the Book of Columba for the embroidery. The Book of Kells is an illuminated gospel manuscript. The book was created at a Columban monastery around 800 AD. Lastly, it is one of Ireland’s top national treasures being a Western calligraphy masterpiece. The costumes sometimes include a brooch at the shoulder holding a shawl that drapes downward. Also, the preferred colors are green and white, usually avoiding the common English red. Apparently, a form of step dance called Sean-nόs may have influenced clogging and tap dance in the United States and Canada. The old-style step dance evolved in the 18th & 19th centuries from dancers traveling around Ireland, which eventually codified it. Douglas Hyde founded the Gaelic League in 1893 to preserve Irish culture including the language, theatre, sports, arts, music, dance and other Irish traditions. In addition, a branch of the Gaelic League started the phenomena know as the feis derived from the word festival. The feis included music, singing and dancing in rural communities. The Irish Dancing Commission (An Coimisiun del Rinci Gaelacha) established in 1930, register all qualified teachers and adjudicators. In addition, they create exams to certify Irish dance teachers and dancers. There are over 1800 teachers today from many different countries. The revival of Irish traditional music and dance has flourished in the last couple of decades. Largely, this is a result of the Irish traveling shows like Riverdance: The Show and Lord of the Dance. Generally, these two shows have introduced and popularized Irish step dancing around the world. Riverdance originated in 1994 as a seven minute act in the Eurovision Song Contest in Dublin. The contest was wildly popular with a podcast to 300 million viewers. 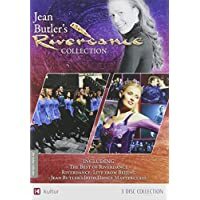 In 1995, the producers created Riverdance: The Show. This is the show that traveled to many countries featuring dancers, Michael Flatley and Jean Butler. 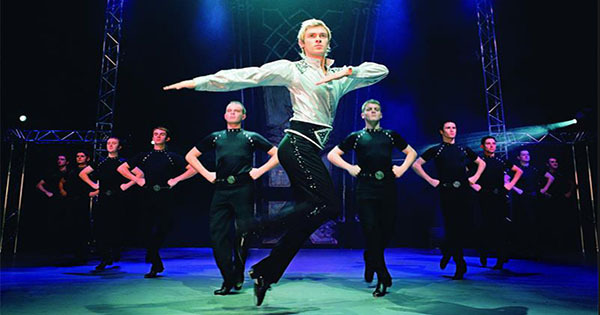 Michael left the Riverdance: The Show and produced Lord of the Dance after having a creative conflict. Michael Flatley was born in Chicago of Irish parents and began dancing at the age of eleven. In addition, he was the first American to win the World Championships in Irish dancing. Jean Butler, Michael’s partner, was born in Mineola, Long Island of Irish parents. She started dancing at the age of four. In 1966, Michael Flatley created Lord of Dance, an Irish music and dance production. Ronan Hardiman wrote the music for it while Flatley created the dance choreography. In 1977, the Lord of Dance troupe performed at the Oscars. Afterward, the dance troupe toured taking the show across the globe. Later, Flatley created Feet of Flames expanding Lord of the Dance. Thereafter, this musical dance show lasted for decades to the present with different lead dancers. The Fleadh is Ireland’s national festival that happens throughout the country in the summer months of June or July. These festivals include traditional musicians, singers, dancers, concerts, Irish dancing, parades, art and street musicians. Ireland’s long history endures today with its vibrant cultural traditions of art, music and dance. Both traditional and contemporary styles flourish across the Irish countryside.